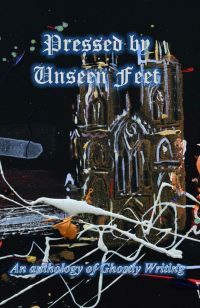 This anthology is a collection of poetry and short stories with a paranormal theme and explores the space our spirits KNOW is there, even though we cannot prove or disprove its existence. This is an anthology of poetry and short stories with a paranormal theme. Launched on the August Blue moon this book showcases the writing of the talented York and Yorkshire poets. Humans need to explain the unexplainable, to bring reason to the unreasonable. This passion for rationality fills the psyche with imps and fairies, spirits and sprites: earthquakes, thunder and sudden death surely the work of capricious Gods, or witches. In a world where death is the gateway to eternal life, it is easy to imagine that those who have fallen on the way to their just reward, good or bad, will hang about to rain a little retribution on those they deem responsible for their poor navigation. Not so far from our living selves, then! Is all this just imagination? Is it not possible that entities exist outside of our abilities to sense them; for caverns to possess profound intelligence; for lost loved ones to watch over us; for our own selves to have abilities we cannot sense or control? This book explores the space our spirits KNOW is there, even though we cannot prove or disprove its existence. Very few of us have never experienced something that should not, could not, have happened: but did. Pressed by Unseen Feet may help you remember.